Decides to design her own collection. Participate in this new adventure. 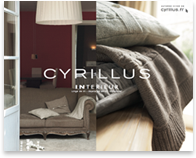 Thanks to these values Cyrillus quickly becomes a great success. Creating collections each more chic and authentic than the last.